Do you understand how hard a garage door repair could be? Is isn’t just slapping a few new parts on and tightening up bolts. A lot of garage door parts need to be pressured in or are under a lot of pressure at all times. Garage Door parts are very trick and some are easy to break. You may fix one part without noticing that it was not the problem at all. Now that we have gotten that out of the way, What are the top 3 safety reasons to hire a real garage door service? 1. It Is Simply Safer For A Pro To Do It. As mentioned before, there are things you just might not be aware of. This is not your fault or a lack of intelligence. You were just not trained on how to perform garage door services. 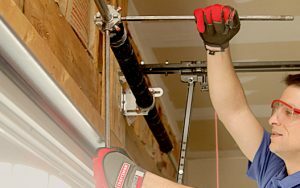 Garage door repairs such as replacing garage door springs can be particularly hazardous. 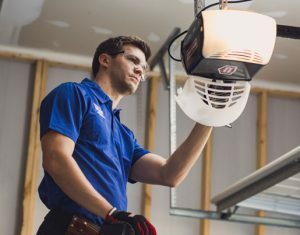 There is also the matter of putting on garage door safety cables, to keep your garage door springs from flying around the garage when they break. An incorrectly applied safety cable can cause serious harm to family members, pets and even your garage door itself. The term “better safe than sorry” really applies here. Do you really want to get it wrong two or three times before you find the problem? Or worse, do you really want to have to buy the same part over and over again because you break it trying to replace it? Both are really good possibilities and not worth it, at all. Professional garage door services like Clark’s Garage Door & Gate Repair are well equipped to get the job done right on the first try. We will likely notice something you did not if needed. 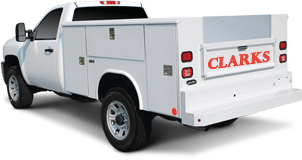 All you have to do is call Clarks Garage Door & Gate repair at (877) 622-8183 and we promise you will quickly feel relief. We offer same day and emergency garage door services. You will not have to deal with any garage door issue for longer than you already have. You have a job to do, family to take care of. Even if you are retired and the kids are all gone, do you really want to stress over a garage door? We doubt it. So, call us today for amazing garage door services at great affordable rates! What Are Garage Door Safety Cables? Why Do I Need Them?